You Know What They Call Trees in a Firest Fire? Trailer: Wildlife! Wildlife – Jeanette (Carey Mulligan) and Jerry (Jake Gyllenhaal) – Photo courtesy of IFC Films. When golf pro Jerry loses his job and decides to help fight an uncontrolled forest fire near their home, his wife Jeanette (Carey Mulligan) and son Joe (Ed Oxenbould) are left to fend for themselves in Wildfire – Paul Dano’s first film as director. Wildfire will be in theaters on October 19th. If You’ve Got a Better Plan for Me Trailer: Wildlife! Carey Mulligan, Ed Oxenbould and Jake Gyllenhaal appear in Wildlife by Paul Dano – Courtesy of Sundance Institute. Actor Paul Dano’s first film as a director, Wildlife follows the dissolution of a marriage through the eyes of the couple’s son. Wildlife will be in theaters on October 19th. A Fire in My Soul Trailer: Mary Shelley! How did a teenager come to write Frankenstein – considered by many to the first science fiction novel? IFC Films’ Mary Shelley endeavors to answer that question. Elle Fanning stars as Mary Shelley. The film will be in theaters June 1st. The very gothic trailer follows below. Oaths and Signs Trailer: Personal Shopper! Kristen Stewart plays a high-fashion personal shopper/spiritual medium awaiting a sign from her late brother in Olivier Assayas’ Personal Shopper. Personal Shopper opens on March 10th. The trailer follower the break. Just Another Night in the Morgue Trailer: The Autopsy of Jane Doe! Directed by Andre Ovredal (Troll Hunters), The autopsy of Janbe Doe stars Brian Cox and Emile Hirsch. It opens in theaters and VOD on December 20th. The trailer follows the jump. Poignant Trailer: Things To Come! What happens when the perfect life you’ve worked so hard to achieve falls apart all at once? That’s the situation facing Natalie (the amazing Isabelle Huppert) in Things to Com – directed by Mia Hansen-Løve (Eden). Check out the trailer after the break. Things to Come will be in select theaters on December 2nd. Down and Out Trailer: Time Out of Mind! 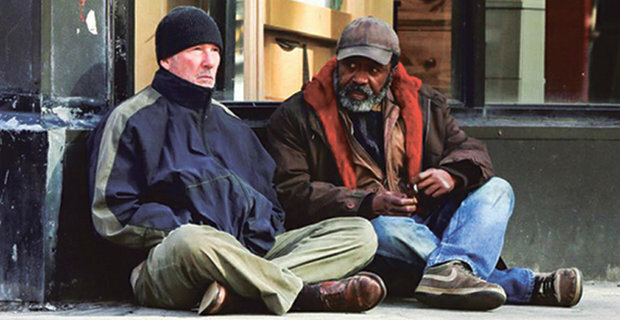 Richard Gere stars as George, a homeless man struggling to find food and shelter in New York City, in Time Out of Mind – the new movie from Academy- Award nominee Oren Moverman. Check out the trailer after the jump. Time Out of Minds opens in theaters on September 9th and comes to VOD on September 18th. Just Plain Wrong Trailer: The Stanford Prison Experiment! It started out as a simple college behavioral study but became all too real. 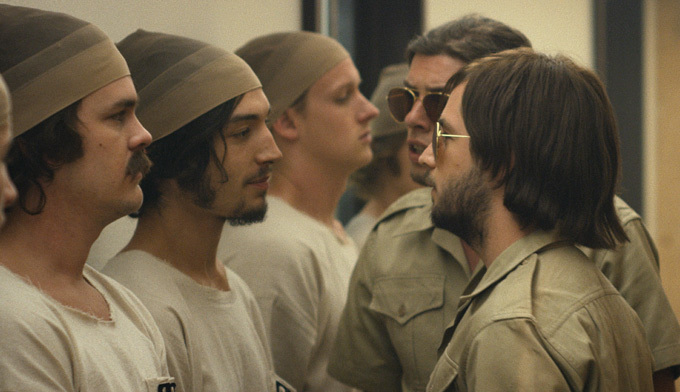 Check out the first trailer for IFC Films’ The Stanford Prison Experiment following the jump. The Stanford Prison Experiment will be in theaters on July 17th and VOD on July 24th. Unsettling Trailer: Good Kill – War is a First-Person Shooter! 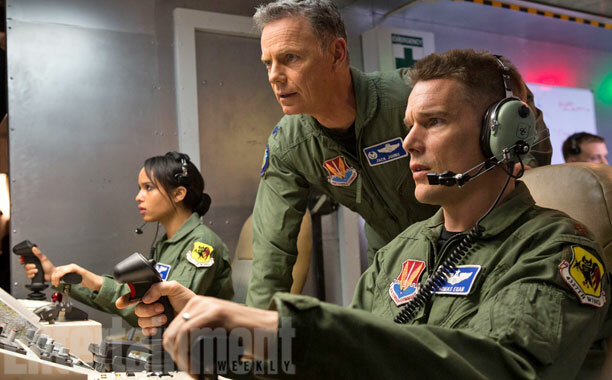 As one of the characters says in the trailer, ‘War is a first-person shooter.’ Good Kill is a unique war movie that looks at today’s drone warfare from the point of view of Tom Egan, a former combat pilot turned drone pilot, and asks just what does today’s warfare mean? Ethan Hawke, January Jones, Zoe Kravitz and Bruce Greenwood star in Good Kill, from director Andrew Niccol (Gattaca). Check out the chilling trailer after the jump.